Blimey, I'm being sent updates on competition entries on a daily basis at the moment! Here's the latest hype from our on-going 16KB cart development challenge - less than three months to go! First up, I'm happy to announce that I've just received the final cartridge build of TRSI's Fortress Of Narzod; the second finished competition entry and first of two games proposed by TRSI. 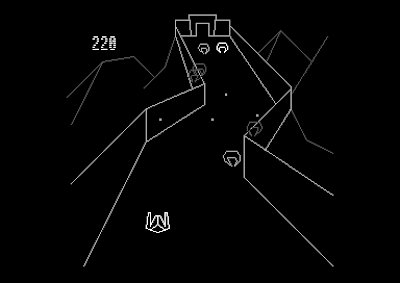 A perfect conversion of the Vectrex classic, Fortress of Narzod utilises the border areas of the screen to maximise the play area and the excellent soundtrack my Linus really takes this production to the next level. 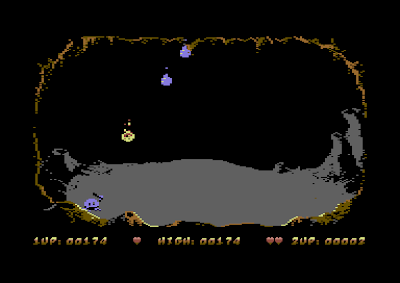 The game requires no keyboard input (even the high score table is controlled via the joystick) so it will work on the C64GS, but unfortunately the full-screen action comes at a cost of not running on NTSC machines. Overall, an awesome entry. As well as working on the rather brilliant looking Soulless, it seems that Georg was recently working on a C64 tribute to the Gameboy/NES classic Gargoyle's Quest. However, he's recently had a change of plan. "Since I see all these nifty entries pop up, here's an update to mine. I've scrapped the other project for now, it's too ambitious for this contest - it was sort of a Gargoyle's Quest, but felt somewhat lacking, especially in the graphic department. I had some sprite placement bugs which I can't seem to iron out easily and would take up too much time. So I've started a new game that for now goes by the name Get´em! It's a rather simple arcade like game, but should be doable in the timeframe left." I immediately saw the similarities between his screenshot and a recent indie game called Forget-Me-Not (an RGCD review is in the pipeline), and when I enquired if it was a port he confirmed that the similarity is no coincidence. So hopefully Endurion will be bringing some fresh 2011 game design to the C64 in this competition, if he completes it before the deadline! Following the preview I was sent a couple of weeks back, Malcontent has now uploaded some in-game footage of Spacer-X. There's a lot of blowing stuff up and high-velocity crashing, but the most interesting thing about this video is that it shows off the vertical screen-wrapping (at about 35 seconds in). Malcontent now has Moloch onboard to assist with the artwork, so there should be a new preview with updated visuals soon. However, I think I might actually miss the cute little space-plane sprite if it changes! 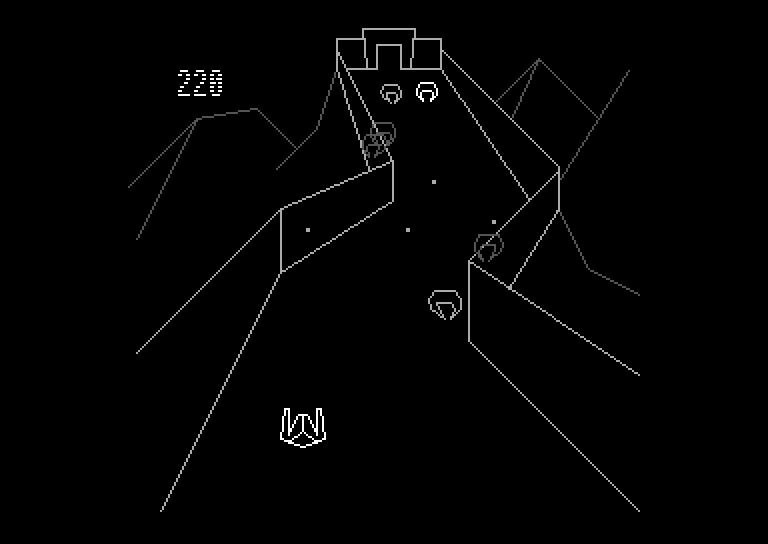 From what little I've seen so far, I think that this style of cave shooter would benefit from a randomly constructed map so that each play offers a fresh challenge. Any chance of that guys? "At the moment we have a sheep jumping, a scrolling background with some nice background graphics by Shaun Pearson. The map in this game at the moment isn't final because we hope to cram some more levels into it. There's still a lot of things to do on this game and I will be seeing to some of those this week, including making the game more playable. The next thing I shall be concentrating on is to get the enemies moving in different forms, via a behavior check table. Some enemies will be bouncing, and some will be flying. I am still waiting for Shaun's final sprites for the final animation of the game. If all goes well with this project and a 16K version's finished, I might make this project slightly bigger for a Christmas 2011 release." So it seems that the cartridge version of Woolly Jumper will be a 'lite' version of a larger game, possibly released at a later date via Psytronik (or TND). Richard continued to detail his progress further. "The sheep in the game was drawn in Spritepad, copying an example of Shaun's sheep. The enemies are moving in one direction at exactly the same place. I shall be working on the enemy behaviour pattern this week, so that they can move in different formations. 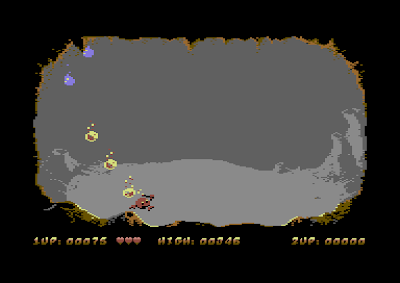 The player can shoot at the enemies to make them explode. There is still a lot to do, but I am feeling very positive that I can get this game finished and tested by my friends who I met at RetroVision 2011 - before submitting the game in November." I asked if he, like others, had been forced to cut out features and ideas for the game to keep it within the strict 16KB file size. "Not really at the moment. The .prg is less than 8kb so far. I am feeling positive that I can cram what I have planned into the project. 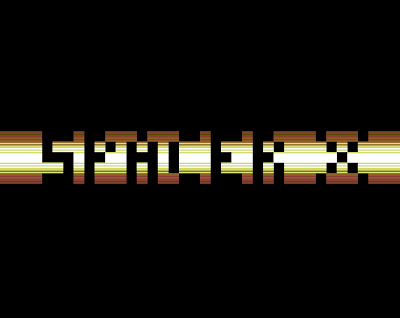 I will be making a simple front end for the 16KB cartridge compo entry if all goes well. 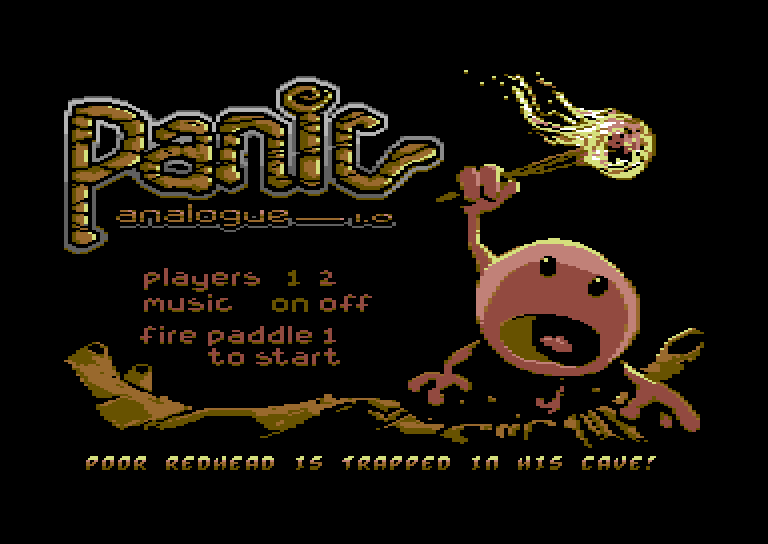 Then after the game's been submitted I will be working on adding some improvements and simple additional touches, such as additional in game options, a better front end with bitmap logo, and also Martin Piper's IRQ disk and IRQ tape turbo loader, to display the loading picture and play music during the loading process." You can keep up to date with Richards progress by visiting his development blog. H Macaroni has sent me three screenshots from Goin' Sideways' paddle-controlled competition entry Panic Analogue. "The game is quick to learn, about speed and is best enjoyed with 2 players and a couple of beers. It's paddles only, since we think this magnificient controller is very underused on the c64, and we try our best to support it and bring it back to the masses." As the saying goes, a picture is worth a thousand words - so here's 2000 for you. I hope that some sort of joystick control is considered; paddles are hard to get at the best of times, and if the gameplay is even half the quality of these screens then I won't be surprised if they suddenly become even rarer! Well, that wraps it up for this update - no doubt there will be more news soon. For Spacer-X, I'm just the middle man really. All of the graphics will be created by Andy, our talented graphician group mate.